White Ranger and his Tigerzord! From the hit Mighty Morphin' Power Rangers series! 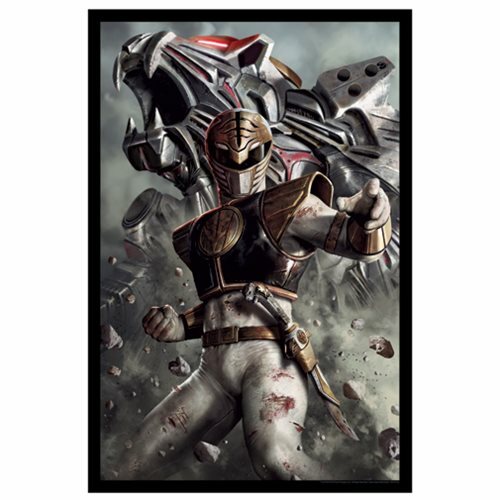 This Mighty Morphin' Power Rangers White Ranger Lithograph is a beautiful piece of artwork featuring the mighty White Ranger along with his White Tigerzord standing strong in the background. Printed on paper, this stunning lithograph is a limited edition of 495 hand-numbered pieces! Measures 24-inches tall x 18-inches wide. Ages 13 and up.